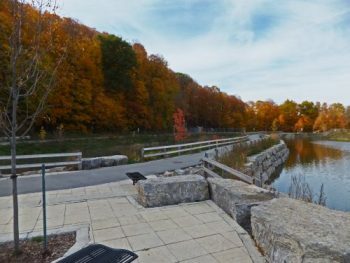 The Earl Bales Stormwater Management Pond helps to improve the water quality and increase aquatic habitat in the West Don River. One of the largest stormwater management ponds in Canada covering an area of 3.2 hectares and is approximately three metres in depth. Has capacity to manage and treat 90% of total annual stormwater runoff from a 550-hectare catchment area that includes residential and industrial development. The area is bounded by Sheppard Avenue to the north, Highway 401 to the south, Downsview Airport to the west, and Avenue Road to the east. 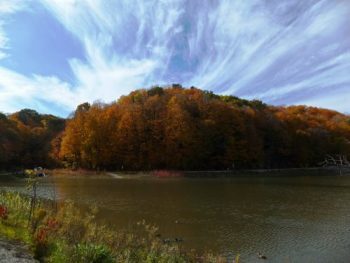 Helps prevent erosion along 2.5 km of ravine system, protecting the urban forest and sewer infrastructure. Using the pond water for these purposes significantly reduces the practice of withdrawing water from the West Don River. The pond is partially funded by the Government of Canada’s Infrastructure Stimulus Fund.